I very much wanted to write a special blog post for Veteran’s Day but I unfortunately ran out of time. I did write a blog post about Blackjack and the Riderless Horse for Memorial Day. If you happened to miss it, there is a link to it below. 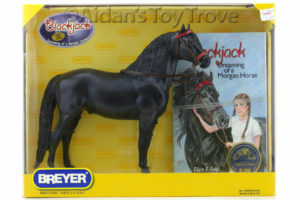 We are running a straight 10% off sale in our eBay Store on a number of Breyer horses. 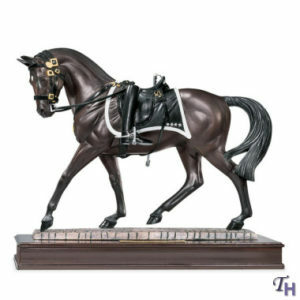 A lot of these are great deals on discontinued New In Box horses as we are trying to clear room for our incoming Christmas stock. I meant to list a NIB 1288 Blackjack this morning but it slipped my mind. I’ve had his listing finished and ready for today for a bit now, der. He is listing to eBay as a Fixed Price listing with Best Offer enabled at 11:00am PST today. I also have a resin 8134 Black Jack Resin here that will be listed for sale but I haven’t even started his listing yet. If you are interested in purchasing, please inquire privately aidanstoytrove@gmail.com. I’m willing to offer a discount if I don’t have take the time to edit all of the pictures and make a brand new listing. We plan to offer a special Veteran’s Day sale coupon for items on our website. I’m still working out exactly how to do this but keep an eye out for it as it will be a significant discount! Have a safe and wonderful Labor Day everybody! Most importantly, a huge thank you to all that serve or have served. This country could not exist without you! « Veteran’s Day Coupon 10% Off The Website!